It's time to decide which is the winner of all things Disney. As one of those kids who grew up on VHS tapes of "Cinderella," "Toy Story," "The Lion King" and more. I was basically conditioned to be a Disney super fan. With that being said, I have visited both parks throughout my childhood and into my teenage years and I am here to break down the pros and cons of both parks. Disneyland, the first park to be built and opened to the public in 1955, includes the Magic Kingdom and California Adventure. Disney World, on the other hand, includes four main theme parks: The Magic Kingdom, Hollywood Studios, EPCOT, and the Animal Kingdom. 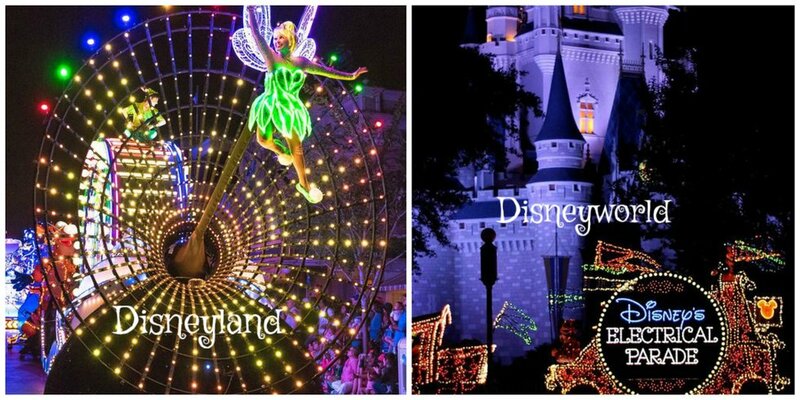 While Disneyworld and Disneyland share the same theme park, the Magic Kingdom in common, they do have some differences. Magic Kingdom in DL can be best described as a smaller yet refreshing version of the Magic Kingdom in Disney World. It features the Sleeping Beauty castle, which includes a beautiful walk through of the Sleeping Beauty story which is a fun interactive feature for park visitors. 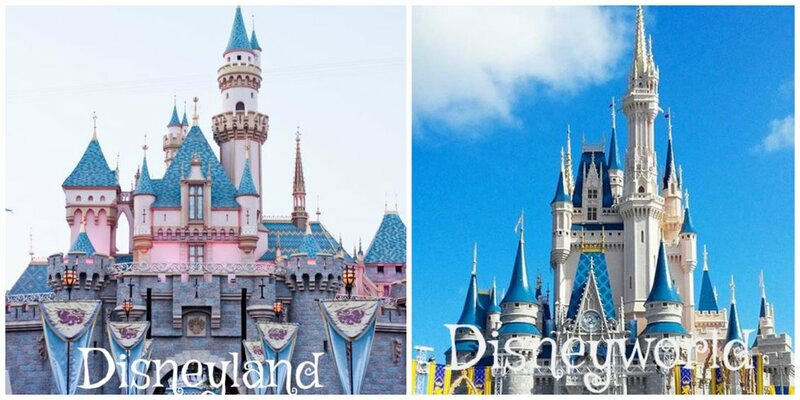 Disneyworld, on the other hand, features a much larger castle design of Cinderella’s castle. It does offer some special perks such as dining with the princesses inside the castle, but for day to day park visitors, it is closed off. This isn’t necessarily a problem but most of the times I’ve been to the Magic Kingdom I couldn’t even get remotely near the castle because of construction. However, there is just something so magical about seeing that huge castle once you enter the park that makes it take the win in this category. 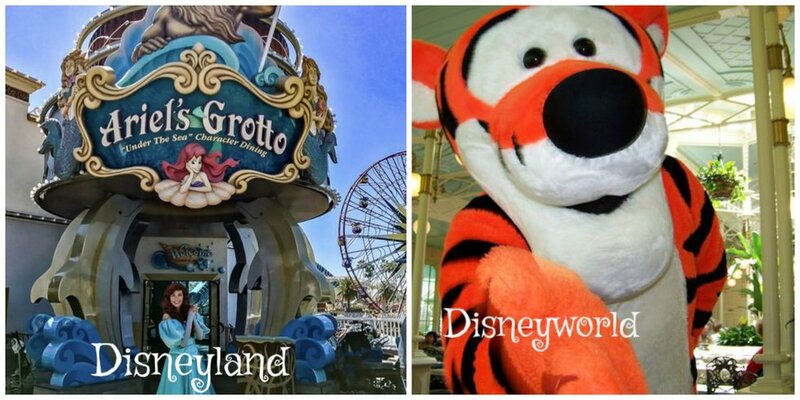 As for the actual rides, both parks have unique attractions that distinguish their parks from each other. For an example, Disneyworld has Matterhorn Bobsleds, Tarzan’s Treehouse, Mr. Toad’s Wild Ride, Indiana Jones Adventure, Storybook Land Canals, and more. Disneyworld, on the other hand, has rides such as Monsters Inc. Laugh Floor, Stitch’s Great Escape, Magic Carpets of Aladdin and more. What I personally like about Disneyland is their décor for their rides. Rides such as It’s a Small World which is pictured above has such a beautiful entrance that appeal more to the eye. However, I like the rides as a whole at Disneyworld better. For the daytime parades, both parks offer different parades that feature festive tunes and beautiful floats. Disneyland has Mickey’s Soundsational Parade whereas Disneyworld has Disney Festival of Fantasy Parade and Move It! Shake it! Dance and Play it! Street Party. As for nighttime parades, DL Magic Kingdom has Paint the Night, a colorful nighttime parade, a crowd favorite. However, there are no nighttime parades currently at the WDW Magic Kingdom which is quite disappointing. Since the Magic Kingdom opened in Florida, it has not gone this long without a nighttime parade, over 5 months, and as a kid, I always remember going to the Electrical parade and hearing the catchy song play through the speakers along Main Street. Hopefully, they start up a new parade soon as nighttime parades are a must for Disney goers! Sadly, for the time being, I’ll have to give the win to Disneyland for the better parade and variety so to say. For dining WDW’s Magic Kingdom, it offers more variety in food and places to eat within the Magic Kingdom and at their hotels as well. As for Disneyland, it offers several places to eat within the park, but few outside of their two theme parks. As for the actual food, both parks offer similar types of menus for all meals. However, because Disneyworld has more character dining options, their food tends to be more expensive in my experience. Either way, Disneyworld’s Magic Kingdom’s dining is better in my opinion and gives more choice as to where to eat. As the Magic Kingdom in Disneyland has more of a homey and vintage feel, it is Walt Disney World’s Magic Kingdom that wins the crown for me. It’s larger than life persona seen as soon as you set eyes on Cinderella’s Castle just wins me over. 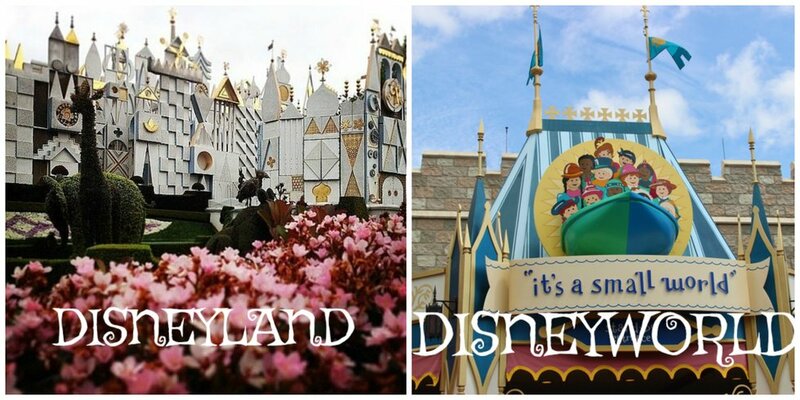 Disney World is a full-on vacation destination, and the Magic Kingdom is just one of the amazing parks that make Disney World a top travel destination for all these years. While I do enjoy Disneyland for its detail-oriented appeal, it is more of a local destination for families in the area than Disneyworld is. Hopefully, though everyone who read this gives both parks a fair chance as I did because each park offers something completely different than its counterpart.